The legendary Tom Jones will perform live for one night only at the Center for the Performing Arts in San Jose on April 25. 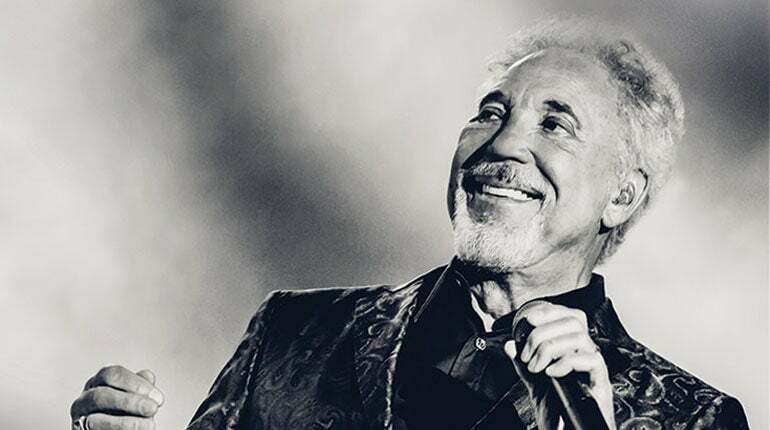 With a career spanning over 50-years, Tom Jones has sustained his popularity as a live performer and recording artist for five decades. He has garnered the best reviews of his career for his most recent albums, Long Lost Suitcase, Spirit In The Room and Praise & Blame (Island/Universal). Critics across the world are unanimous in their approval and admiration for both the recorded work and the performance of it in concert. Known for such hits as “It’s Not Unusual,” “What’s New Pussycat?” “Delilah,” and “She’s A Lady,” among others. Sir Tom is indeed a living legend, one of the few musical artists whose profession began at the dawn of modern popular music who continues to have a vital recording and performing career to this day. His irresistible show traverses musical eras and genres, cuts across class divides and appeals to young and old, male and female, mainstream and cutting edge. Sir Tom has always been about the power of the song, the power of the voice.